vinai varum ARu en – how will sins come? nayavEn piRar poruLai – I will not desire other’s possession as mine. Has it not been said in mahAbhAratham udhyAna parvam 42-35 “yO(a)nyathA santhamAthmAnam anyathA prathipadhyathE, kim thEna na krutham pApam chOrENa AthmApahAriNA” (what sin has not been committed by the one who thinks that AthmA (soul), which is the property of emperumAn, is his own and steals such AthmA?)! It is said that if the material which is stolen is of high value and is stolen from an exalted person such as brAhmaNa, the sin which accrues due to that will also be very grave. Here, when the object which is stolen happens to be AthmA, and the person from whom it is stolen happens to be emperumAn, will not the resultant sin be very grave? Hence, I will not think of emeprumAn’s possession of AthmA as mine, says AzhwAr. naLLEn kIzhArOdu – I will not get close to people who think that of others’ properties as their own. uyavEn uyarndhavrOdu allAl – I will not speak to anyone other than those who think that great objects are indeed great. When AzhwArs talk about followers of emperumAn, they will refer to them as great persons only. They will refer to samsAris as lowly persons only. Isn’t this the real reason for distinction between great and lowly persons! thirumAlai alladhu dheyvam enRu EththEn – I will not think of anyone other than the consort of thirumagaL as being appropriate for holding on to and worshipping. How can sins come to such a person as I am, described above; sins which have to be got rid of, only by experiencing their results? brahmavaivartham, prakruthi kANdam 26-70 says “avaSyam anubhOkthavyam krutham karma SubhASubham, nAbhuktham kshIyathE kalpakOti Sathairapi ” (one has to experience the results of good and bad deeds. These results will not get negated if not experienced, even after hundreds of kalpa kAlams (one kalpa kAlam is the lifetime of brahmA which runs to millions of years)). 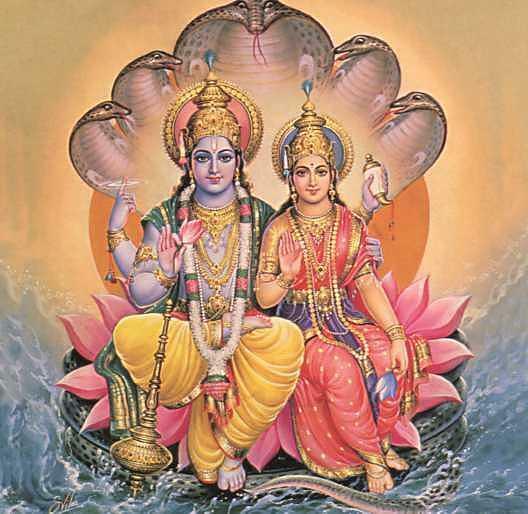 The bad deed carried out by a jIvAthmA creates anger in emperumAn’s divine mind and that results in sin for that AthmA; there is no separate ability for the deeds carried out by the jIvAthmA. If for any reason emperumAn becomes happy with this jIvAthmA, there will be no place for these deeds [they will disappear]. These deeds cannot attain him again for other reasons too. varumARu en enmEL vinai – just as a person who has antidote for poison has the courage to thrust his hand into a snake’s mouth, wouldn’t those who have knowledge about emperumAn not have the courage not to be scared of sins? varumARu en enmEL vinai – AzhwAr asks if an ignorant act would befall him when he has attained an omnipotent entity such as emperumAn. Only if others have rights over him would he himself have rights over him! In the same way, just as being a servitor to others (than emperumAn) is removed, being totally independent to the extent of saying that one is one’s own [and not dependent on emperumAn] is also removed. Since emperumAn forgets the sins committed by us in the past [after we have surrendered to him], our previous sins get destroyed. Since he is unaware [he chooses to be] of our sins in future, such sins will also not stick to us. Hence both the past sins and the future ones will not affect us. These words were mercifully explained by nanjIyar to thiruvAykkulaththu AzhwAn. We shall take up the 65th pAsuram next. This entry was posted in iyaRpA, mudhal thiruvandhAdhi on August 13, 2017 by T N Krishnan.